Yellowfin is the rockstar of the season and you’ll find this fish featuring on the menu at all three Garfish locations. 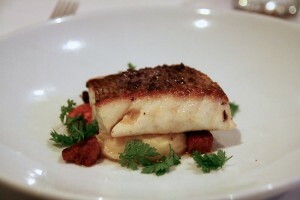 Each restaurant offers a unique take on this fish, from sashimi at Manly or served rare at Crows Nest, this is a fish that lends itself to being served fresh. Other fish that will be making an appearance this season include Blue Eye Trevalla and Swordfish – be sure to check our blackboard specials in the coming weeks. If you’ve not heard of these before it’s because they’ve been six years in development! In a nut(clam)shell, these are New Zealand surf clams or pippis that have been developed so they don’t hold on to any sand. Trust us when we tell you that this is easier said, than done! You’ll find these unique clams featuring in Crows Nest’s and Kirribilli’s delicious bouillabaisse and Manly’s fruits de mer platter. Stewart Wallace, Executive Chef, has given us his tips by restaurant on what dishes aren’t to be missed this Spring. 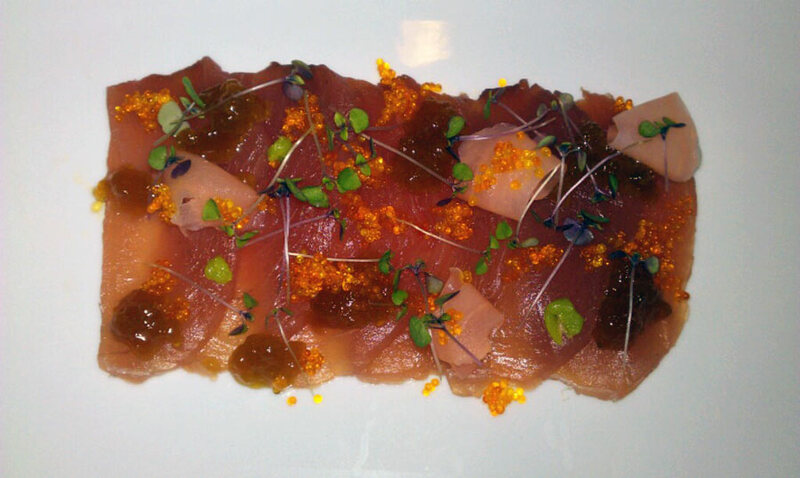 You can’t go past the Yellowfin Tuna Sashimi with ponzu jelly, pickled ginger, flying fish roe, wasabi and shiso sald. It’s an eye-catching dish with a clean, Asian flavour, sure to refresh. From simple to advanced, Kirribilli’s Seared Scallops with pork hock and leek terrine, horseradish cream, is quite a technical dish to prepare. Whilst it’s a common or fashionable marriage between the pork and scallops, the terrine adds a new dimension guaranteed to satisfy. Crows Nest’s Whole Rainbow Trout with braised pearl barley, dill, fennel and orange is simple to prepare but surprisingly rewarding. The fish is stuffed, then wrapped in a paper bag and steamed in its own juices. It’s an honest dish with an energising, delicate and clean flavour. It wouldn’t be Spring without Snapper! And we couldn’t finish without mentioning our plate sized snapper currently available at Manly. It’s wood roasted and flavoursome thanks to our cheeky chimi churri sauce. You’ll also be seeing more of Snapper on the menu from late September to late October/early November because it’s Snapper season – at this time of year this fish is at its best and most plentiful. We look forward to treating you to our range of Spring dishes soon. Now available at Manly, Kirribilli and Crows Nest.